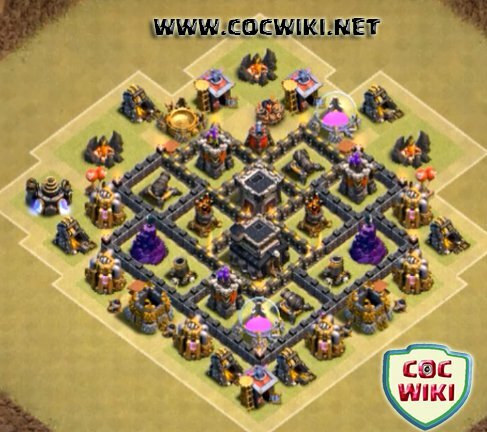 Clash of Clans Best Town Hall 6 war Bases | COCWIKI. hey guys. how are you all? 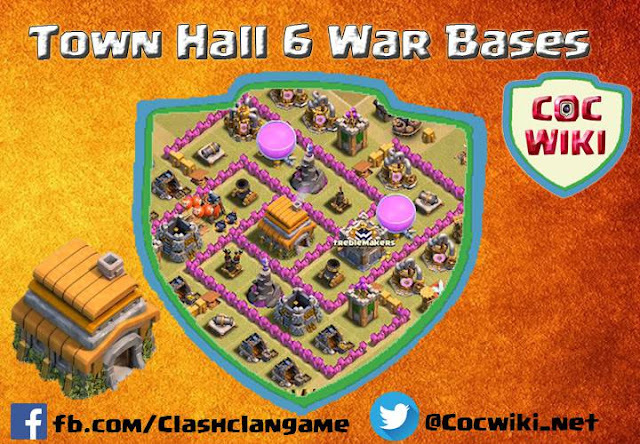 so we are going to discuss about the clash of clans best war layouts of tow hall 6. 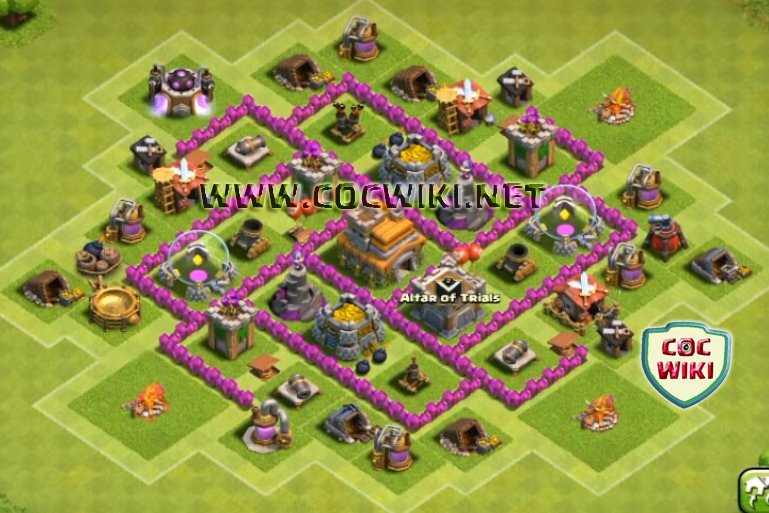 Basically before getting into bases, let us see how many defensive buildings/structures are available for designing base for farming,trophy,hybrid and war bases in th 6.
so what you can get from this post . 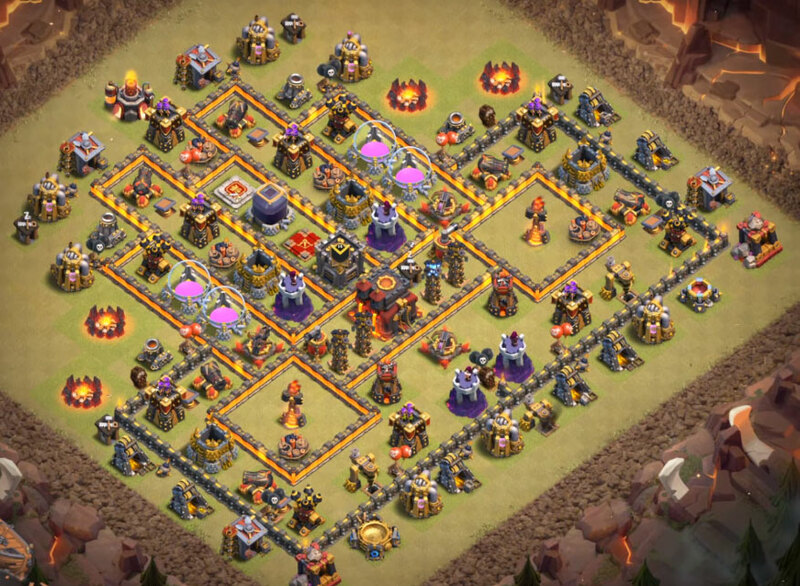 Basically we have a picture of the best town hall 6 bases, some of the features, followed by a YouTube video showing how to design the th6 base. Hope it will help you guys.If u find this post helpful show your support by sharing it in Facebook or twitter . Because its gonna really help me. 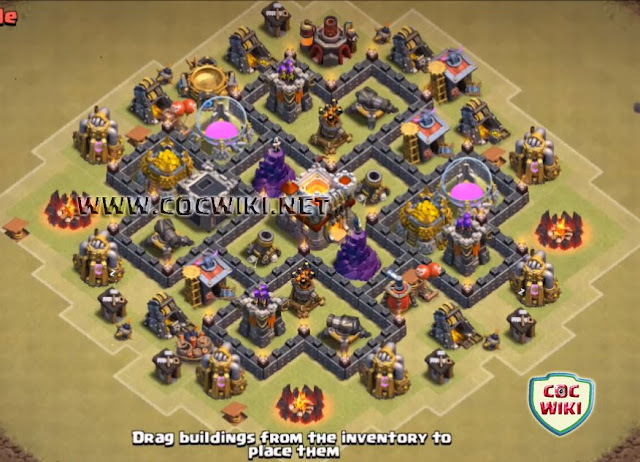 Note:only buildings which are available in town hall 6 are used for designing the base. In this layout th is placed in the center, so getting 2 stars or 3 stars is a tough task and you can see the air defenses, wizard towers are well placed. 2.good placement of mortars and air defenses that protects from air defenses. Now watch YouTube video on how to design? So u can see this base has town hall, mortars and wizard towers in the core central compartment that constitutes to a strong design. the air defenses are placed evenly covering the entire side.This layout can be used for war as well as trophy attacks. 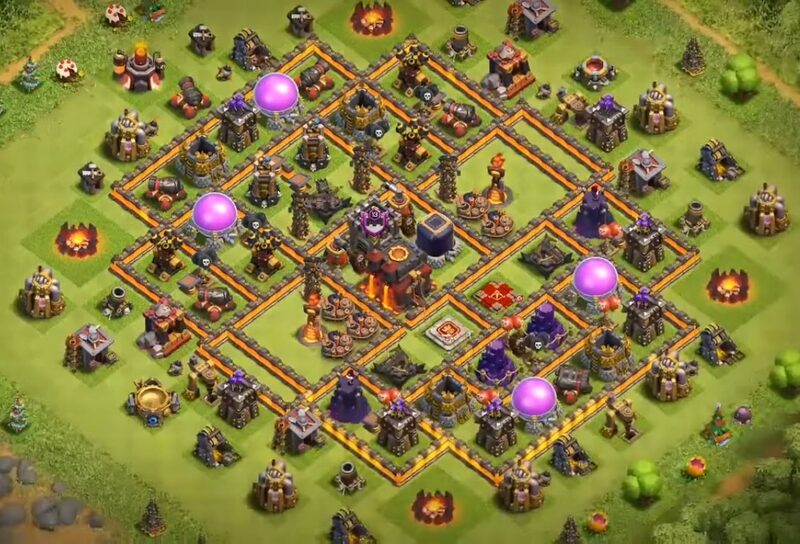 1.Good Placement of air defenses,mortars and wizard tower. Watch the YouTube video on how to design ? In this base we have TH, mortars and wizard towers are placed well. 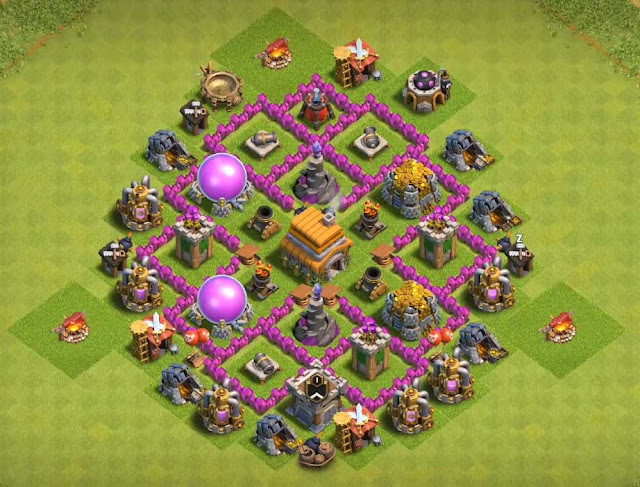 so it's kind of hard to get three stars.It can used for farming trophy and war attack.This is a hybrid layout having compact walls.